Quit your job? After all, you hate your job, you hate your boss, you dislike your clients, you loathe even the place you park your car. So, do you go ahead to quit or do you hang on? Can things change where you are now? I am sure there are a lot of things you must be thinking of before quitting your job. I do not profess to know the answers but based on my experience, you should write down, maybe even start a journal of your journey to quit your job. It will be clearer when you write it down so you aware of why you feel the way you feel. Here are some questions – they aren’t exhaustive, so please add your own - to help you along the way if you are really ready to quit your job. Have you accepted what you cannot change? Have you tried to focus on the positive? Did you focus on Long Term Plans? Do you know that work is as an opportunity for self renewal? Have you been in the company for at least two years? Read the Two Year Rule. There is an exception to the Two Year Rule? Know when to stick and when to quit. Have you tried to reclaim your job by asking for more resources and being more resourceful? Have you tried to rediscover your passion for your job? Are you changing for the sake of changing? Are you happy with other aspects of your life? Is work the only thing in your life? Do you work under stupid bosses and a toxic leadership environment? Is the company culture draining your energy? Is the work no longer challenging? Is there a better offer? These are just some of the questions to start you thinking. Quitting your job takes time and patience. Do you have them? 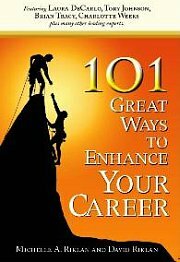 You must also be psychologically prepared for the hard work of looking for a job you like. Are you too egoistic to say maybe you are the one that is the problem? It is easy to blame others and not look at yourself. Regardless of your decision, the advice is to sit back and think. The thought of should you quit your job is a hint something is wrong. The least you owe to yourself is find out what is wrong? There is no need to jump at the decision to quit your job. Unless, of course your life is in danger. Ask the right questions and you will find the answers. Do not be afraid to ask yourself what I call "ugly questions". These are questions you do not like to confront. For example, are there other things that are wrong in other parts of your life? Sometimes, it is far easier to blame work when you aren’t happy with other parts of your lives. Just because you spend one third of your waking hour day at work, you tend to think it is work that is "lowering" your quality of live. Is that the truth? Only you will know as we all have the context of our lives to evaluate what we experience. When you quit without being conscious of the real reasons and by not asking the right questions, you may be making a mistake. A mistake you will bring from one job to another and end up job hopping too often. What other questions to consider? Please share it with the rest below. For more articles relate to whether you should quit your job, click here. Tell us what are the questions you feel needs to be answered be you decided to quit your job. Your questions/answers/thoughts will appear on a Web page exactly the way you enter it here. You can wrap a word in square brackets to make it appear bold. For example [my story] would show as my story on the Web page containing your story. TIP: Since most people scan Web pages, include your best questions/ideas/thoughts in your first paragraph.